Leech from Movile Cave, Romania, light micrograph. Life in this cave has evolved in isolation for millions of years in an environment rich in hydrogen sulphide. Microbes obtaining energy from hydrogen sulphide form the basis of the food chain. 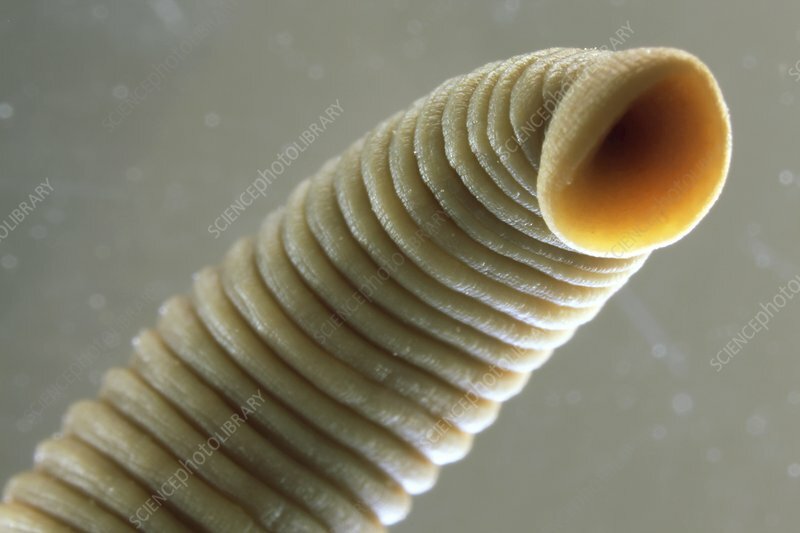 Invertebrates such as this leech feed on microscopic animals that live on the biofilm in the cave. The leech in turn is preyed on by animals such as shrimp.